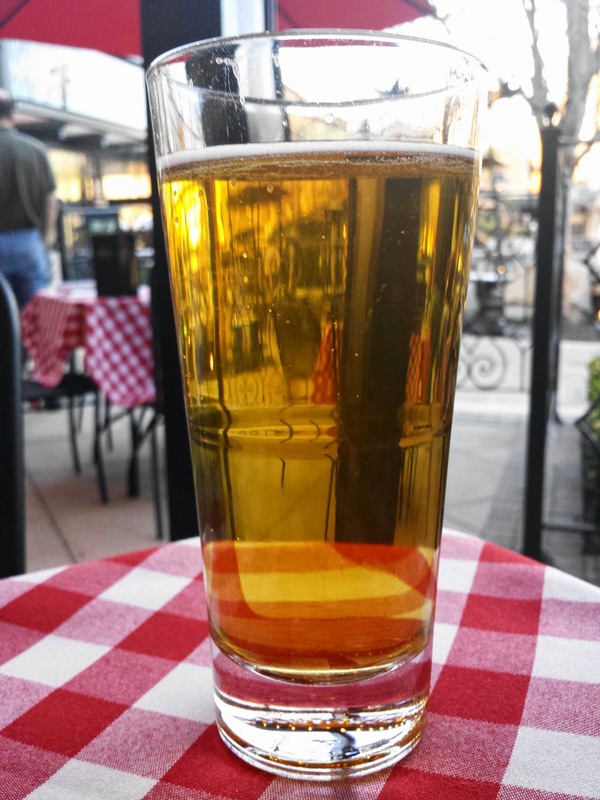 I'm going to have to step away from my huge backlog of unwritten reviews from the last few months and write about Grimaldi's Coal Brick-Oven Pizzeria. Well, that's not exactly true. 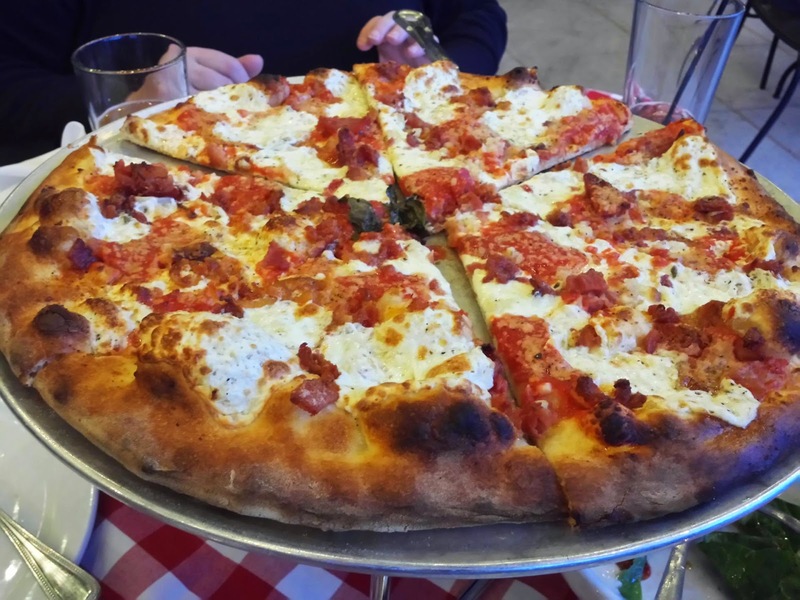 I did actually visit Grimaldi's for a quick lunch several months back, but I wanted to go and explore a little more thoroughly before reviewing them. As so often happens, a hundred little things kept distracting me and I just hadn't made it back, but last week one of their PR people got in touch and offered to comp a meal if I'd be interested. Honestly, my initial response was to turn them down. I mean it's one thing to be invited to an event the kind of which I've been to at other eateries at The Village at Meridian, or to be sent gift cards to try a place...situations where I would still be more or less just another anonymous diner. This kind of situation, where the staff would know who I was and would be expecting me, that's something I just don't do. I prize my anonymity. I want to have the same experience that anyone else walking in to a restaurant has, because otherwise it's not necessarily representative of a normal meal there. There are plenty of other bloggers who plaster pictures of themselves on their sites for all to see, make a production of going around and taking photographs at a restaurant, who take glossy printouts of their reviews (suitable for hanging) back to the eateries once they've been posted. That's just not my style, and I can't see how it wouldn't alter everything. There's enough of that around. I'm content to pay my money, take my crappy guerrilla-style pics, and be able to say I had more or less the same experience that you would have if you just happened to stop in for a bite to eat. In the end, I decided to take them up on it for a few reasons. First of all, I already had a meal there to write about, so it would be easy to compare and contrast the experiences. Second, as a few of my previous write-ups demonstrate, free food does not guarantee a positive review from me. If you doubt my integrity, well, that's why I'm filling you in on all of this. Third, Grimaldi's isn't exactly cheap. I'm not saying that they should be, and many of the restaurants at the Village aren't. Look around when you're there, even the eateries that started out as food trucks have significantly marked up their menu prices. It's obvious that rent isn't cheap in such a location, and that's going to get passed along the consumer. That having been said, free or cheap eats are always a good motivator to get other people to tag along. Finally, I always end up ordering a bit outside of the "free zone" and tipping very well, so while I knew I'd be saving a healthy chunk of change, I also knew I wouldn't emerge with my bank account completely unscathed. 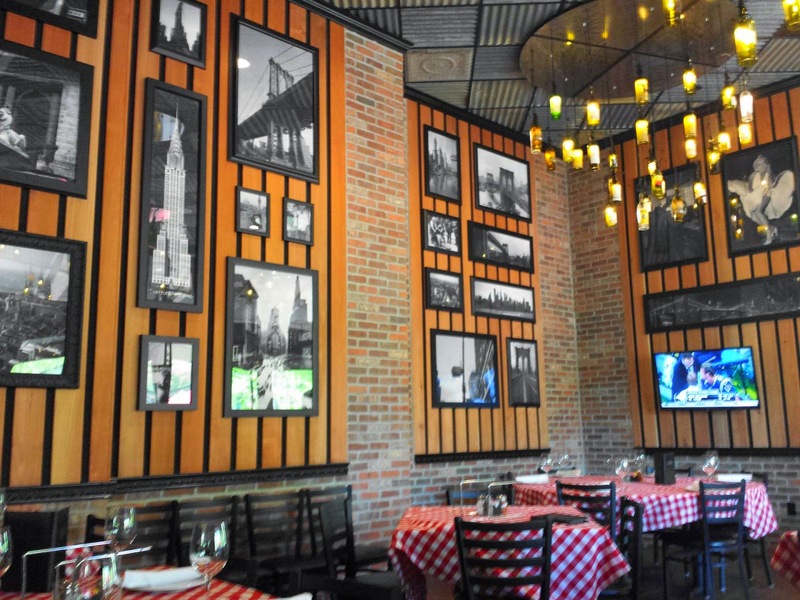 Grimaldi's is a chain of New York style pizza eateries that actually has their roots in New York (Brooklyn, to be exact). A couple of other things set them apart from similar places around here, the most obvious of which are their use of coal-fired brick ovens and the fact that they don't sell individual slices. When you walk in, it's pretty much all NY theme restaurant. Red and white checkered table cloths, walls covered in pictures of the Big Apple, crooners on the sound system, etc. 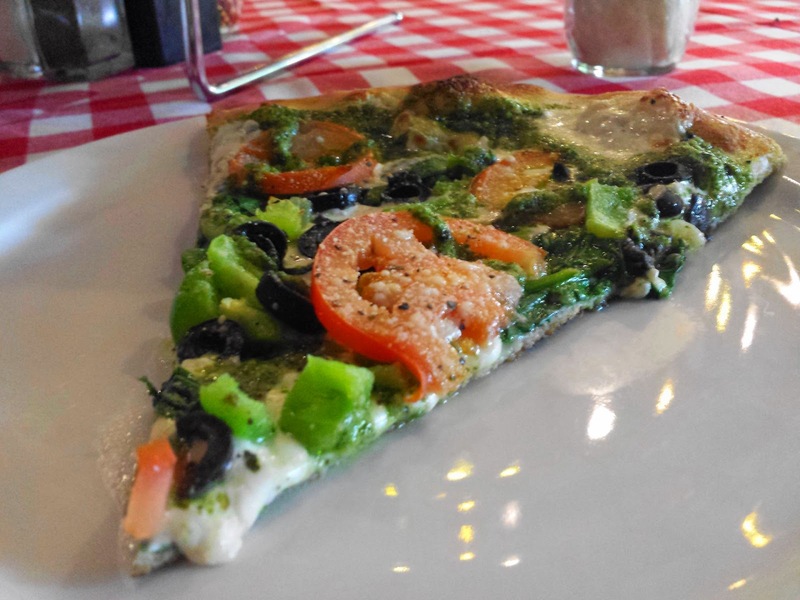 On that first visit, my date and I decided to try a veggie-centric pesto pie, just because I ADORE pesto pizzas and think that every pizzeria should offer them. 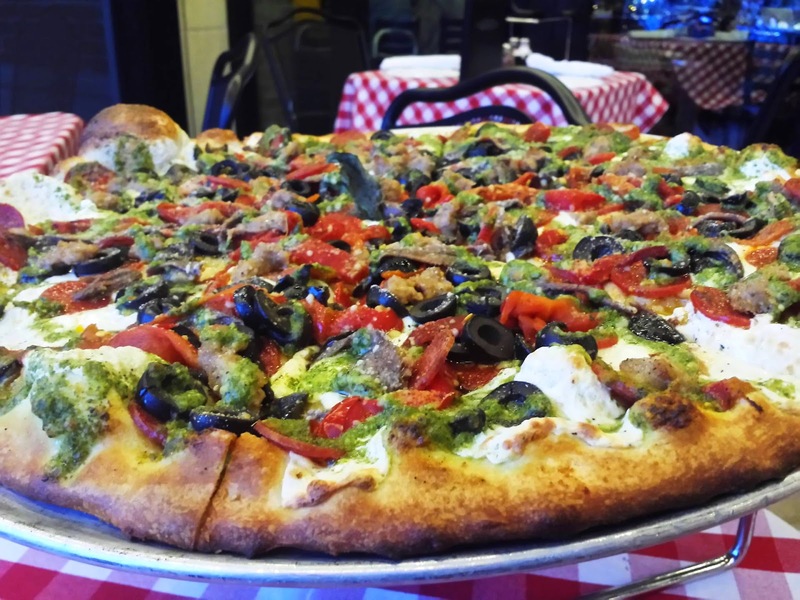 Grimaldi's has base prices for their cheese pies and the toppings are a la carte, so be mindful or the check could wind up taking you by surprise. It was pretty much love at first bite. Everything was fresh (even the mozzarella, which comes from free range cows), everything was tasty, and I loved that the pesto wasn't pine nut-based. It struck me as a little odd that the de rigueur shakers of grated parmesan were nowhere to be seen, but once I tasted the pizza I gave it no more thought. I have a distinct weakness for the NY style so I really dug the thin crust, and the slight char from the oven put the whole thing over the top for me. 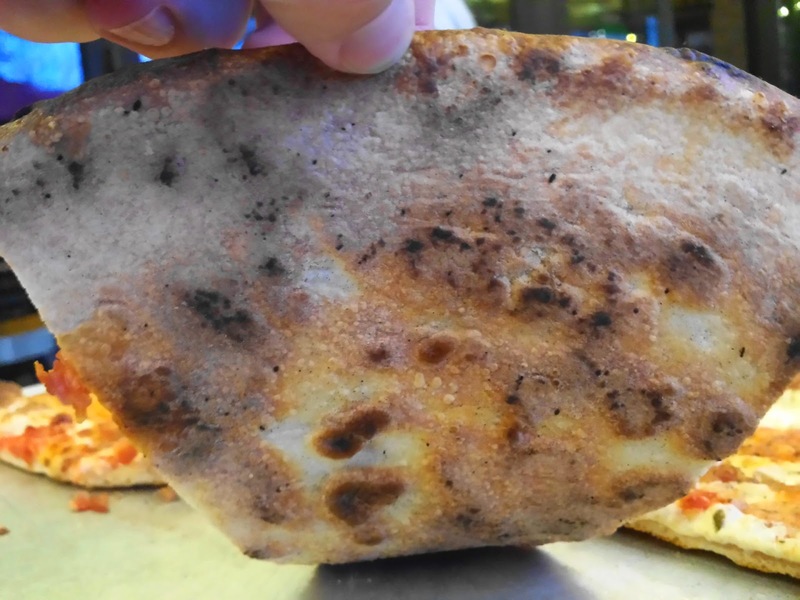 Some people on the aggregate review sites have complained that their pizza was "burnt", but after two visits there my take is that this style just isn't for them. I've had burnt pizza before, and this is not it. Furthermore, the staff has always been extremely helpful and gracious, and I have no doubt that if my food arrived unduly scorched it would be easily rectified. 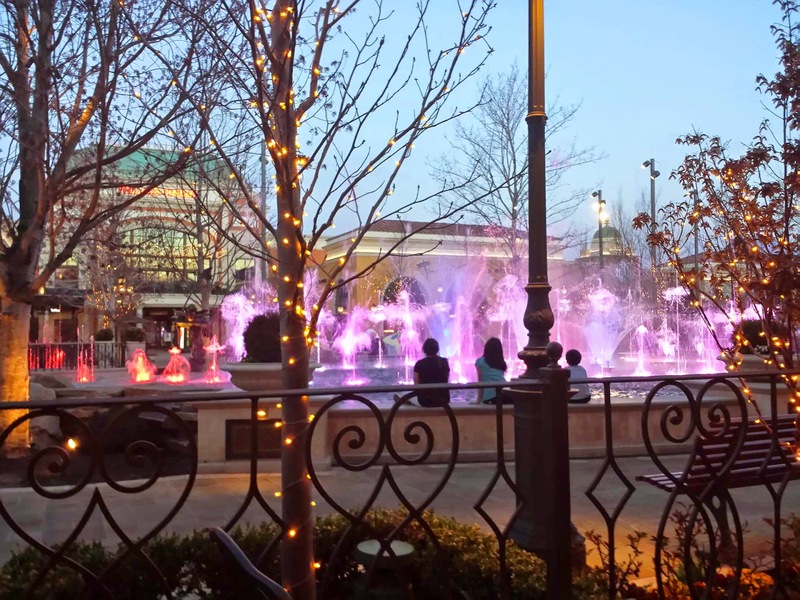 For my second visit, we decided to take advantage of the unseasonably mild weather to dine on the patio. I dig the view, what can I say? 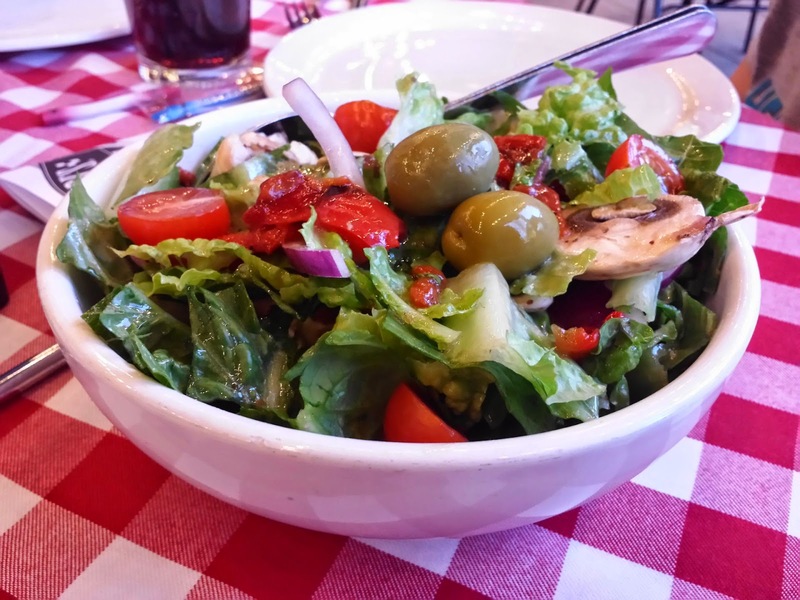 ...and a small house salad, comprised of Romaine lettuce, cherry tomatoes, red onion, roasted sweet red peppers, mushrooms, green olives, and vinaigrette. I was pleasantly surprised that the salad wasn't just a pile of lettuce with a sprinkling of toppings. There was a more than fair amount of good stuff mixed in, and the whole arrived with just the right amount of dressing. My one complaint would be the fact that the olives had pits in them, something that I honestly can't recall if the menu warned about. The Kalamatas definitely have an asterisk warning you about the pits, but I don't believe the standard green ones did. Either way, it was a bit of a shock when I bit down, but no issues other than that. The young 'uns split a small (16") regular, topped with fresh garlic, bacon (oddly enough, both of them swear they'd never heard of bacon as a pizza topping before), and that terrific mozzarella. The bacon was particularly impressive because it was sizable chunks of thick cut, rather than the kind of bacon bits you get at most places and would be better utilized as a salad topping. Mom and I both snuck a bite and were pleased with it, and the girls were definitely happy. Seriously, check out that char. Yum. While Mom probably would have preferred the white sauce and trying it would have have meant I'd sampled all three sauce options, I don't really care for that in general. So, back to pesto it was. I heard somewhere once that the ideal amount of toppings to put on a pizza is three, and only two at most of them should be meats. As for me, I grew up loving "combination" pizzas (pepperoni, sausage, onion, black olives, and green peppers). I'd gone pretty spartan on my last visit, so this time I decided to be more indulgent. Mom and I both love anchovies and don't get them as often as we'd like, so that was the first topping agreed upon for our large (18") pizza. She was pulling for sun-dried tomatoes, but I was concerned it wouldn't mesh well with such strong flavors from the pesto and the little fishies, so we settled on roasted red peppers instead. I offered meatballs because spicy food is a hit or miss thing with her, but she assured me that Italian sausage would be fine so we added that as well, and finished up with black olives. Pesto pizza with way too many toppings. When the finished pie arrived, we noticed that there was also pepperoni involved, cute little nickel-sized slices of it. We just shrugged it off because it didn't bother her and I had secretly wanted it anyway but didn't order it because I didn't want to be greedy. I can comfortably say that I now see the wisdom of minimalizing the toppings. Maybe you can get away with it on a thick pan crust or a deep dish pizza, but piling this much on such a thin crust meant losing the flavor of that lovely cheese (did I mention that I dig their mozzarella?) and to some extent the crust itself in the mix. Not the restaurant's fault or even the ingredients, I just went a little topping crazy. I did love the anchovies, which didn't even have any rogue bones or "hairy" bits, but the Italian sausage could have been a little spicier. In the future, I'll limit myself on the toppings, I'll also warn you that mixing anchovies with pesto might not be for everyone, I just really like saltiness. That brings us to dessert, the other reason I need to crank out this write-up so quickly. For the Month of March, and I apologize that I'm only able to give you ten days worth of warning on this (assuming supplies last that long), Grimaldi's has teamed with our local Girl Scouts for a couple of limited-time dessert options: a Chocolate Mint Cheesecake and a Caramel Coconut Cheesecake. Each is five bucks a slice, and a portion of the proceeds go to the aforementioned Scouts. The Chocolate Mint option is pretty much what you'd expect from the name, except for the fact that the crust is made with Thin Mints cookies. There are also bits of them mixed into the cheesecake itself. Personally, I'm not exactly partial to chocolate cheesecakes. I think the chocolate overrides everything else, but the youngsters loved it. I did like that it wasn't overly dense. In fact, I'd say on a heaviness scale this falls somewhere between cheesecake and cream pie. 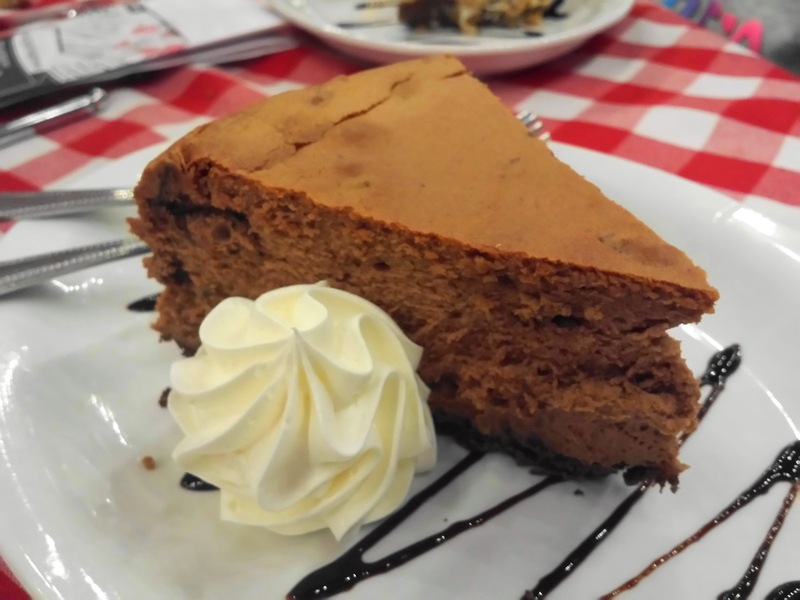 It was fluffy, not overly rich, and if that flavor combination is in your wheelhouse then definitely get in there and try a slice while you still have the chance. Now Samoas, on the other hand, I am VERY partial to. Chewy caramel, toasted coconut, a little darkish chocolate, a crunchy cookie center...what's not to love? 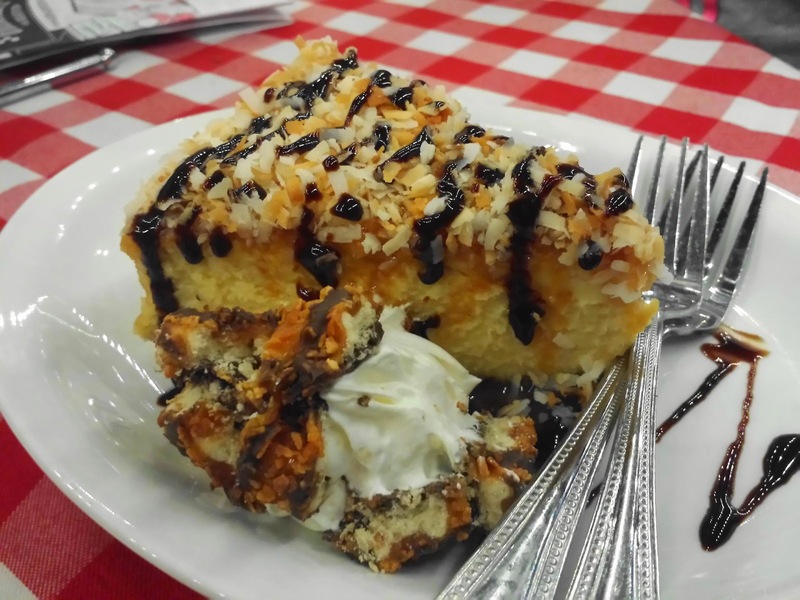 In this case, rather than everything just being integrated, we have a caramel cheesecake, topped with toasted coconut and caramel glaze, sitting atop a Samoas crust, all drizzled with chocolate. They were even nice enough to include some chopped Samoas on top of the accompanying whipped cream. This was definitely the favorite of both of the adults in attendance, and was so amazingly edible that I can even forgive Grimaldi's for whatever part they may have played in this year's shortage of Girl Scout cookies. At the end of the meal I ordered another slice to take home to the roommate, who was just as impressed as I was. Writing this up right now, I'm seriously considering heading over to grab another slice while I still have the chance. Really, it's THAT good. At the end of the day, I can honestly say that there was no real difference between the two visits other than I paid a lot less money for a lot more food the second time. On both visits the food, service, and atmosphere were good. 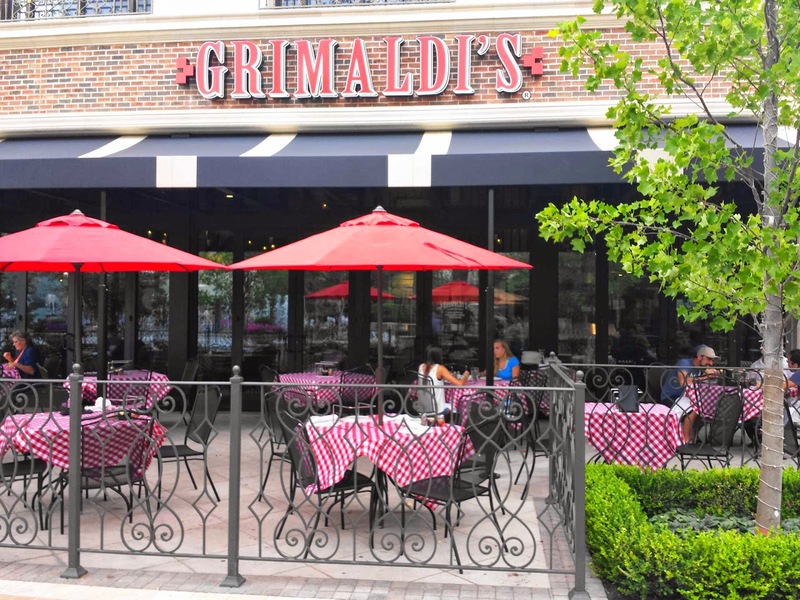 There's nothing else quite like Grimaldi's around here, and if it sounds like your cup of tea then you should definitely check them out. And soon. I don't know how much longer that Samoas cheesecake will last with me living only ten minutes away.